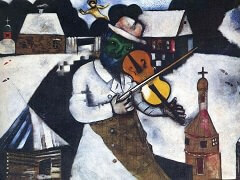 Chagall's art was directly influenced by political events in Russia. 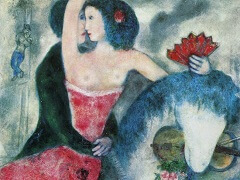 The Bolshevik revolution was to bring new optimism for Chagall and according to him was the most important event in his life. 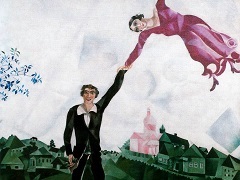 The Bolsheviks had taken Russia out of the war and the Jews at long last had equal citizen's rights with other Russians. 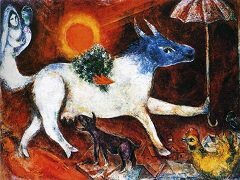 At this time Chagall painted Cementery Gate whhich at first appears to represent sorrow and death. However, inscribed across the gate is the Hebrew prophecy of Ezekiel: "Thus saith the Lord God: Behold. O, my people. I will open your graves, and cause you to come up out of your graves, and bring you into the land of Israel." which speaks of rejoicing and optimism for the future. 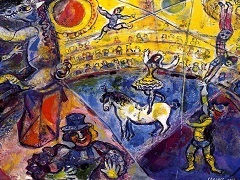 From this we can asssume that Chagall is in fact celebrating the death of the old Czarist regime, symbolised by the cemetery and he is optimistic for the future and a new beginning for Russia and his people. 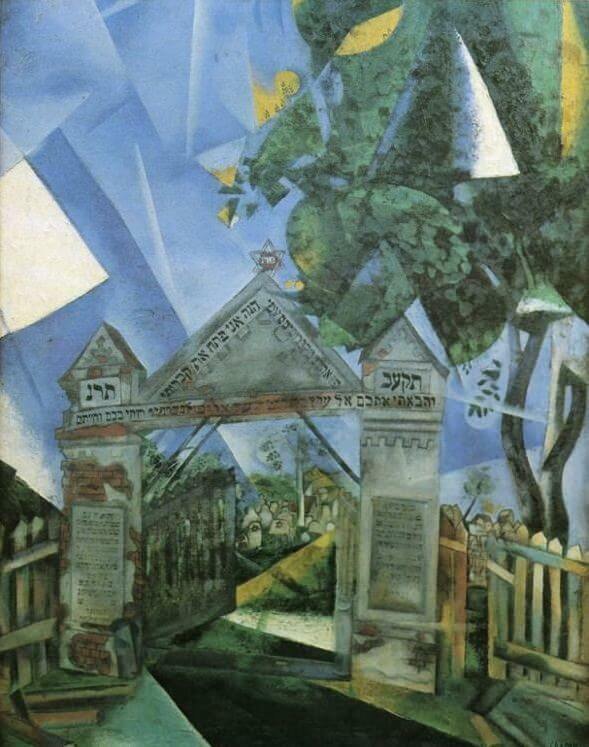 The artist's interest in Hebrew traditions and affection for the past can be sensed in Cemetery Gates. 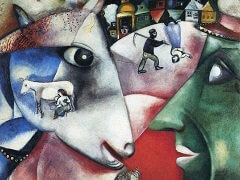 The very stones seem to cry out in these dramatic canvases enriched with elements of Cubism.